Stuttgart based DJ & producer. In 2009 he became resident of legendary Stuttgart club Rocker 33 where he founded the ‘Common Sense People’ event series. With guest acts such as Helena Hauff, Levon Vincent, Voiski, Shed, DJ Koze or Gerd Janson, it subs..
Konstantin Sibold’s cultured approach to performance and production has forged a style that is both distinctive and personal. Born in Stuttgart in 1987, music in a diverse array of forms was an enduring backdrop to Konstantin’s youth. In 2009, whilst a student engineer, he became the youngest resident of legendary Stuttgart club, Rocker 33 and there, two years later, Konstantin and his close friend Leif Müller started their own event series, Common Sense People. The emphasis at these parties is on providing an intimate insight into one artist, with extended sets and focused programming the basis for all their events. Performances by Helena Hauff, DJ Koze and Levon Vincent have earned their parties a justifiable reputation across the German underground. This appreciation of truly narrative performance is pervasive, as Konstantin himself is becoming notorious for his expansive long sets. Appearances from Panorama Bar to Trouw to Concrete to Womb Tokyo have only cemented his status as an innovative DJ, able to imbue any night with a pulsating energy. As a producer, Konstantin’s burgeoning reputation led to him being voted ‘Newcomer of the Year 2013′ by the readers of Groove Magazine, ahead of other lauded acts from Recondite to Disclosure. In 2010 his debut vinyl “Neuland” received significant support from the Innervisions & Kompakt family. 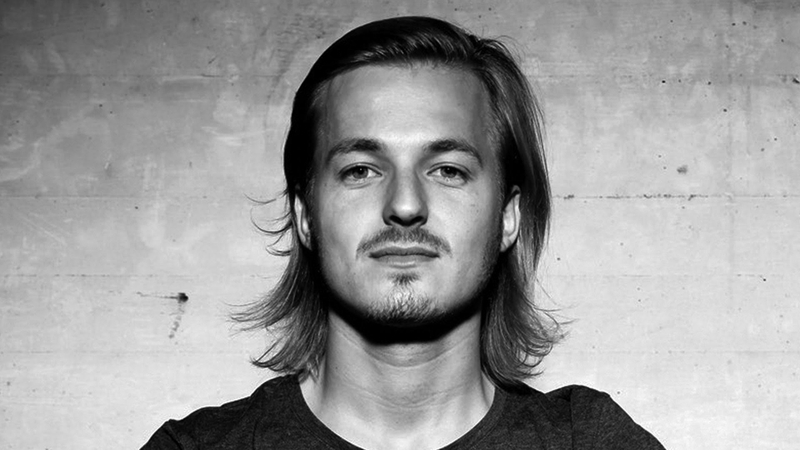 In 2011, his classic house release “Leif/Mariam” drew widespread acclaim, with tastemaker Move D acknowledging in an interview it to be one of his favourite tracks of that year. Additional releases followed on Caramelo and Snork Enterprises, before “Madeleine” attracted the attention of Dixon and Âme. Its eventual release on Innervisions ultimately propelled Konstantin onto the world stage. Subsequent remix requests for renowned pop acts followed, including Lana Del Rey, Gus Gus and Röyksopp. Konstantin’s remix for DJ Yellow & Flowers And Sea Creatures became a massive club hit, receiving support from people such as Sven Väth, Ricardo Villalobos, Dixon and Tale Of Us and was voted to #2 ‘Remix of the Year 2013′ in Groove Magazine. Konstantin’s extensive back-catalogue features releases on a series of prestigious labels, from Kompakt to DFA to Mute records. Konstantin has repeatedly shown he pays little attention to genres and pigeon-holing. He moves fleet-footed between musical categories, with a characteristic confidence that his quintessential style will shine through, whatever the musical template. In the studio, just as in the DJ booth, Konstantin lives and breathes the idea that music is fluid and that setting constraints based on convention and expectation will only suffocate musical personality.